........................................... 1. Make Payment. Email us your picture or pop it in the post with the size and details of the style you would like. 2. 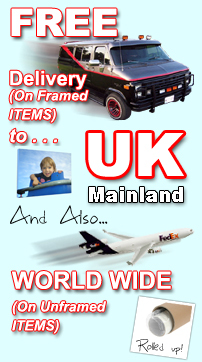 We will edit and develop the image to suit your needs and Email back a proof for confirmation. 3. Sit back and wait for the delivery. Due to the heavy snow in our area there may be a delay on deliveries. We will keep you informed if there will be any long delays. All been well parcels should be despatch as normal on Monday 6th December. We are giving our staff a well earned 2 week holiday period. In this time we are still taking orders but they may be a delay. If there's any questions get in touch with us. After popular requests we have nearly finished 2 Steven Gerrard paintings. These will be listed in the next couple of days check this space. Wayne Rooney Painting - completed! We have nearly finished a Wayne Rooney painting which we think captures his current form with all is headed goals of late... watch this space! We have just completed 2 new original hand paintings please take a look on the left and don't miss out on these amazing offers! Received my print and just wanted to let you know that I am delighted with it - thank you so much. I shall certainly be using you again and recommending you to my friends. Many thanks again for such a superb and fast service. sale to residential and commercial premises. * Brand New - Jimi Hendrix Painting On Canvas . . .
* Brand New - Wayne Rooney Painting On Canvas . . .
Colour: black, red, white, blue. 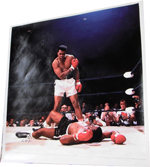 * Brand New - Muhammad Ali Painting On Canvas . . .
* Michael Jackson Painting On Canvas . . .
Colour: black, blue, white, red. * Scarface Painting On Canvas . . .
* New - Dirty Dancing Print On Canvas . . .
* Brand New - Jim Morrison Painting On Canvas . . .
* Brand New - Michael Jackson Hand Painting On Canvas . . .
New - The Kings of leon Hand Painting On Canvas . . .
New - The Doors Hand Painting On Canvas . . .
New - Kings Of Leon Hand Painting On Canvas . 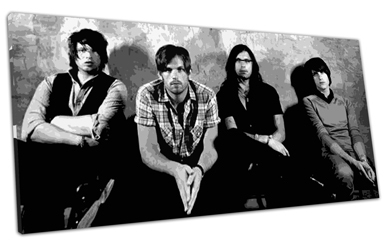 . .
NEW - Kings Of Leon Canvas Print . . .
For more information on this product please e-mail us. 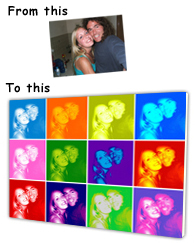 Your photo converted to pop art and printed to canvas . . .
To purchase select if you want 1, 2, or 3 and click add to cart below. 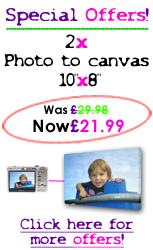 Why not treat someone you love to one of our photo prints to canvas . . .